The name of a new warrior, Ninja Burger is here to challenge the hot favourite Samurai Burger. For those who are new to Ninja Burger, it features a thick and big chicken patty coated with crunchy cornflake, sweet Nanban Japanese sauce and sandwiched between two lightly toasted charcoal sesame buns. The chicken patty which was rather dry accompanied with the sweet sauce which is not to my liking. That leads to a little disappointment as I was neither impressed by the charcoal sesame buns. The two charcoal sesame buns were flat and not fluffy at the end. What about the hot favourite Samurai Burger? I like it that you can choose for either a grilled chicken patty or quarter pounder beef patty. I’ve tried grilled chicken samurai burger previously and left a good review on my Instagram@foodgemsg. So, I have decided to try the quarter pounder beef patty this time. I was amazed by the size for the beef patty. The beef patty is much bigger in size as compared to the grilled chicken patty. The beef patty was juicy in nice teriyaki sauce dip, laid a bed of crunchy lettuce between lightly toasted sesame buns. And to seaweed fries lover, your seaweed shaker fries is back with Matcha McFlurry with Red Bean. Sadly, I didn’t manage to try the seaweed fries as I placed my order on UberEATS. It doesn’t allow me to opt for a large fries hence no seaweed fries for me. Comparing the taste and value for both burgers, I would be very happy to conclude that SAMURAI BURGER wins this battle. And I have also conducted a poll on my InstagramStory@foodgemsg ; 75% viewers have cast their love for SAMURAI BURGER. Sorry to Ninja Burger, try again next year. Just wondering, if there’s another ranger challenge to SAMURAI BURGER in the near future? 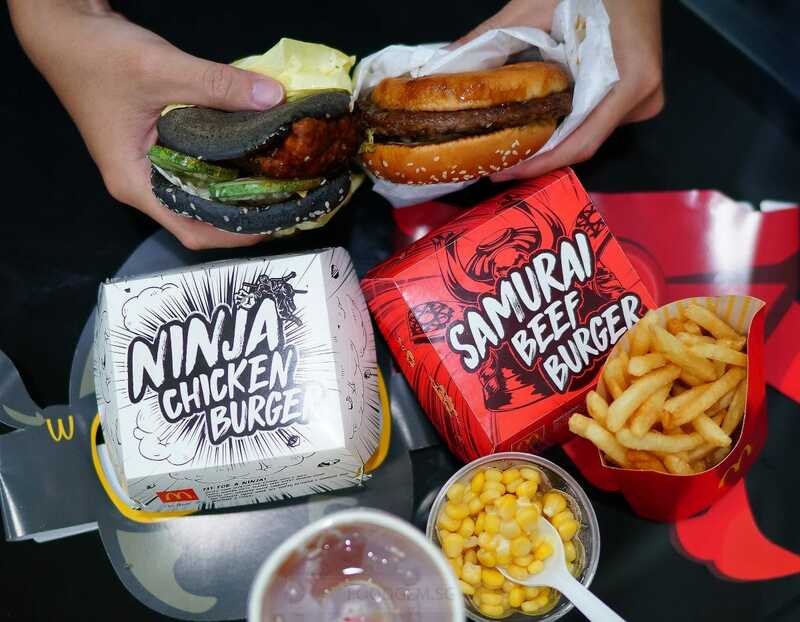 Both Ninja Burger and Samurai Burger are available islandwide after breakfast hours, McDelivery and UberEATS till while stocks last. Ninja Special Set from S$9.20 including a large seaweed shaker fries and a cup of Heaven & Earth Green Tea (M). A la carte burger from S$6.40. Samurai Special Set from S$8.80 including a large seaweed shaker fries and a cup of Heaven & Earth Green Tea (M). 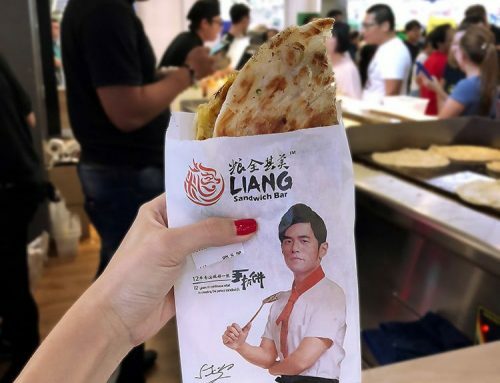 A la carte burger from S$6. 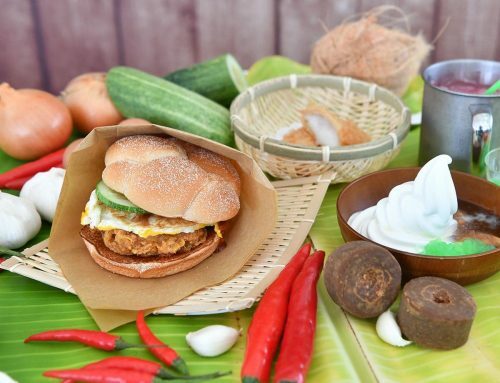 Mcdonalds | Salted Egg York Chicken Burger Yay or Nay?